Safeway is introducing a new line of 100% natural products under the Open Natureâ„¢ brand. My family and I will be sampling recipes cooked with Open Nature products later today at the world’s longest picnic table organized by Safeway. I’ll write about that in a separate post. 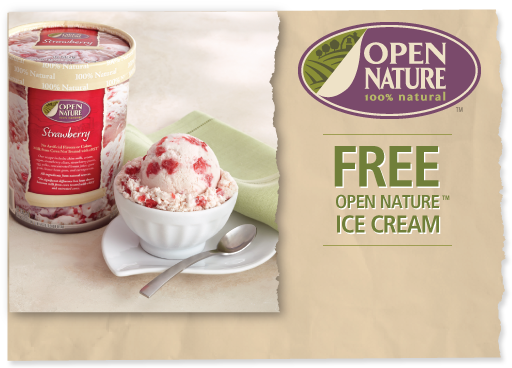 You can get a coupon for a FREE container of Open Nature ice cream. Just head over to Safeway’s Facebook page, like them if you haven’t already, and sign up for the free coupon. Safeway will send you the coupon via mail in a few weeks. Safeway Open Nature Giveaway: $50 Gift Card Plus Open Nature Goodie Bag!